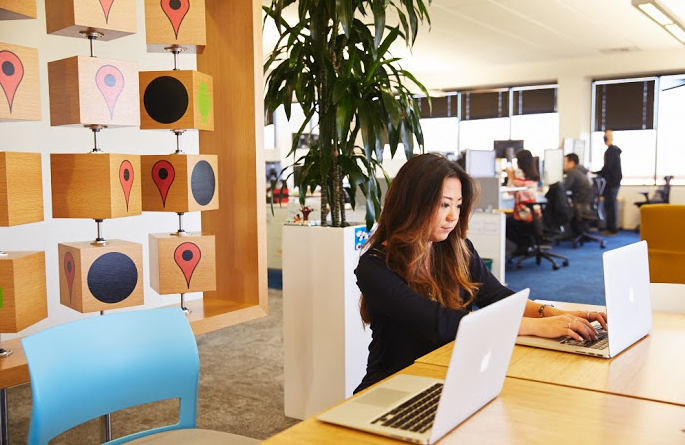 In the modern business world, there’s much more to daily life than working towards targets and profits: alongside customer-facing websites, offices have become a point of competition between companies. 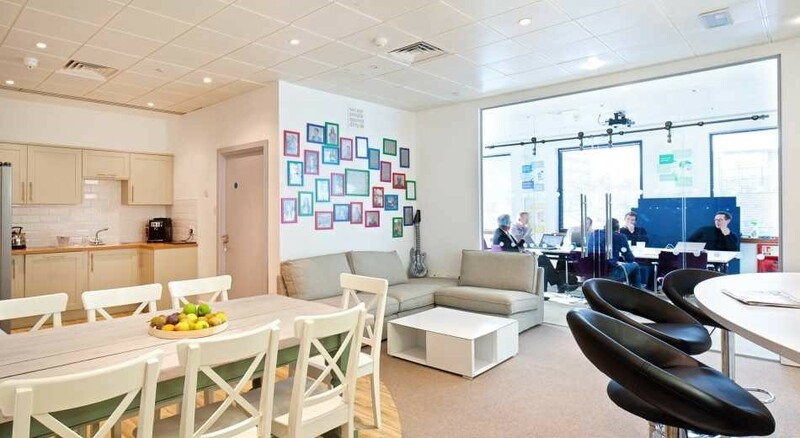 This is a quick list of just some of the highly enviable offices and workspaces out there. 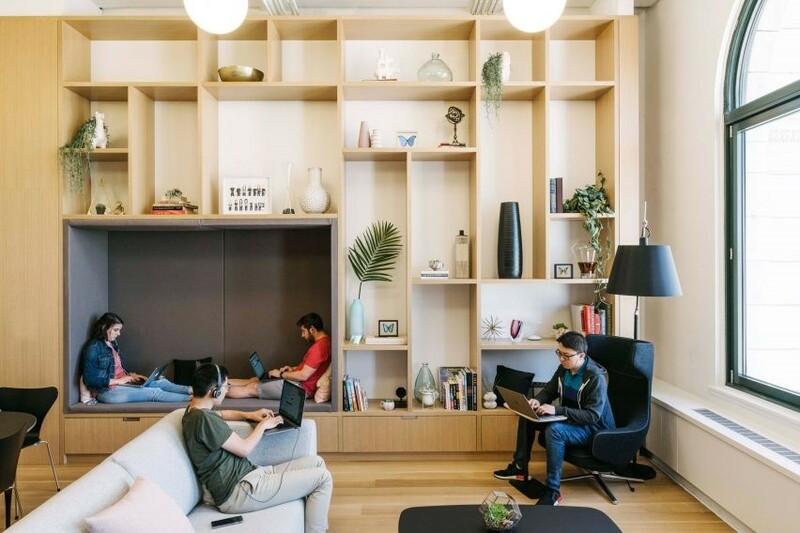 Celebrating everything about the creative world and with a “Code as Craft” culture, Etsy has suitably eye-catching offices. 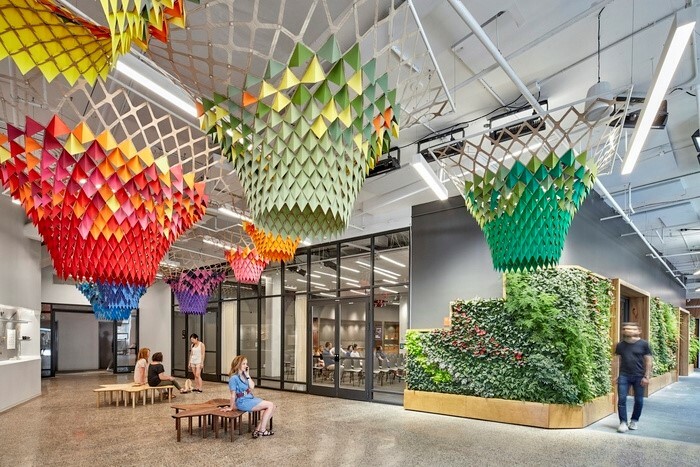 Etsy’s offices are not just pleasing on the eye – they are also easy on the environment: 95% of the waste generated during construction stayed away from landfills. 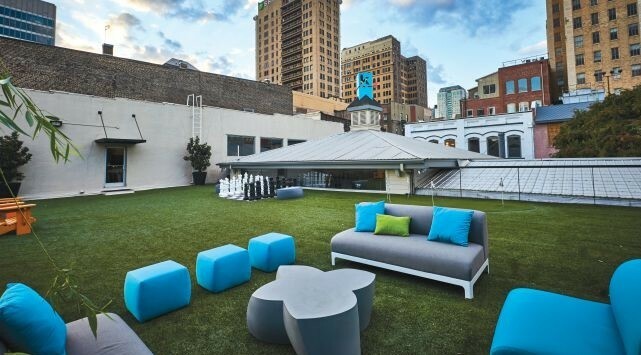 The brand also serves its four design principles, meaning that working there comes with some serious bragging rights. Right in the heart of Manchester city centre, Bright HR is a progressive HR and employment law business consultancy. Bright may seem like a serious business, but it is eager to put fun at the forefront of daily work too. 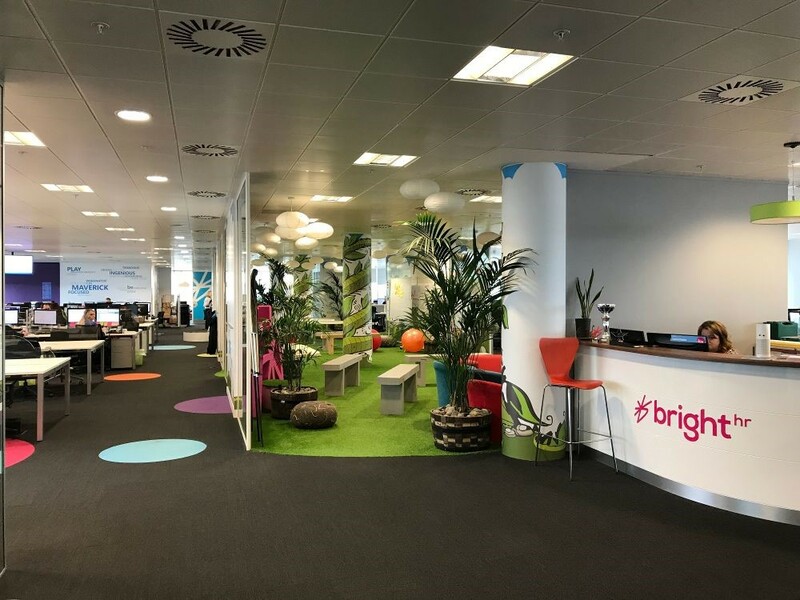 Its ninth-floor office has a sweeping panorama of Manchester city centre, which staff members can view from the comfy confines of the colourful garden meeting area. There’s also a bed, where employees can take a quick nap to energise for the day ahead. 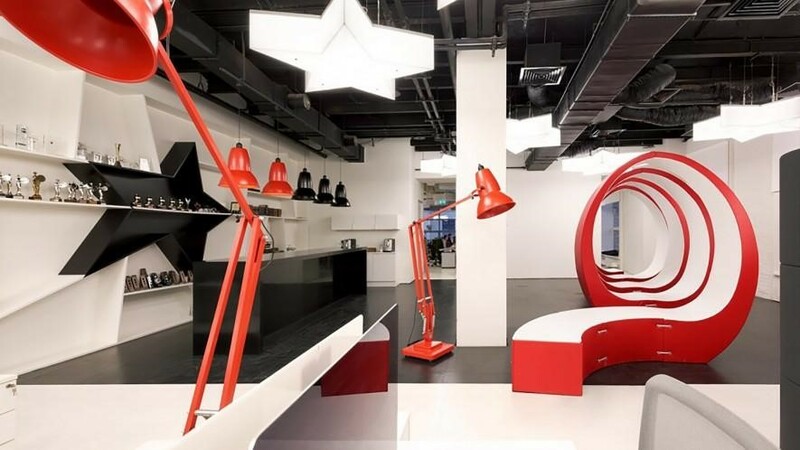 This photo-sharing social media giant has a stylish office over in Manhattan. Staff members no doubt publish plenty of pictures on their personal IG accounts! But this is a big business and the workspace is designed to facilitate creativity. This famous American advertising company found a remarkable new home for its Moscow office – a former Bolshevik factory! The Soviet era now long over, there’s room for big businesses to make former Marxist hotspots their home. The business said it views its workspaces as “a modern art gallery,” hence its abstract design, which is entirely open to interpretation. London’s University of Roehampton has a particularly lush campus, with wild geese that roam around freely and plenty of rural spots to get lost in. The insides of the campus buildings are at the cutting-edge of design, but the university stays true to its traditional roots: the old school architecture sits comfortably alongside newer buildings. 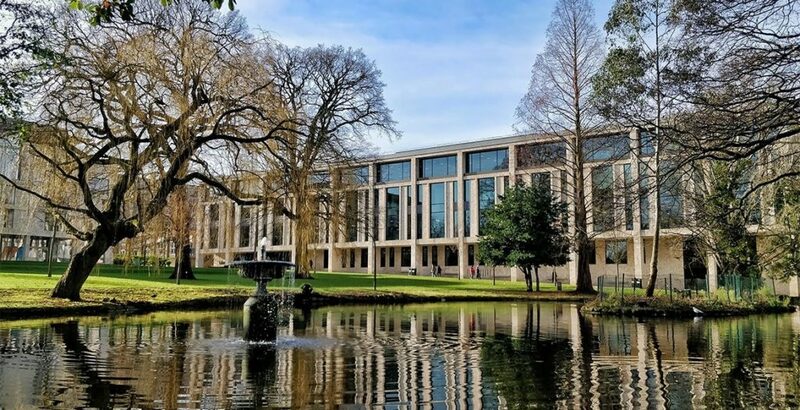 This combination of old and new is what makes Roehampton one of the most beautiful universities, not just in London, but in the whole of the UK. To solve the world’s toughest communication problems, your business needs an office that inspires. 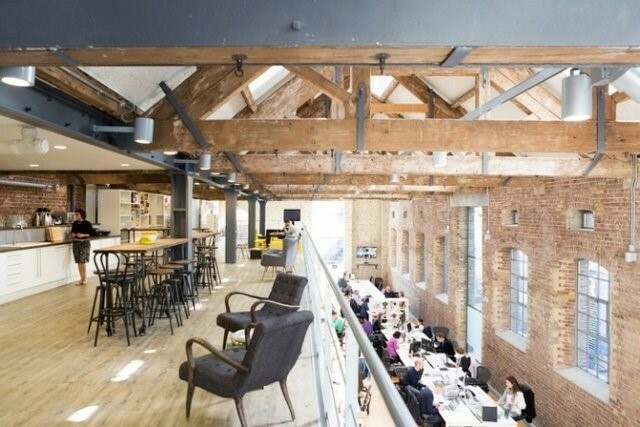 CPB have achieved just that by transforming an industrial-age building into their London office. The former factory is now an open, airy space, filled with natural light due to the generous number of large windows. The open-plan layout makes communication a breeze for the CPB team, and the exposed wooden beams and brick create a very cool aesthetic. This web design company also knows how to provide an inspiring office space. Sometimes it’s a good idea for creatives to escape their computer screens and return to the real world. Kinetic’s workspace embraces a mixture of flexibility and productivity. Staff members can shift between the high-tech offices inside and an urban-rural space for casual meetings or a moment of calm. Symphony says it’s designing an “ecosystem of inspiring global workspaces.” The company is a major driving force for entrepreneurs, building teams of engineers to help others succeed. The business is thriving, and it’s hardly wonder why! 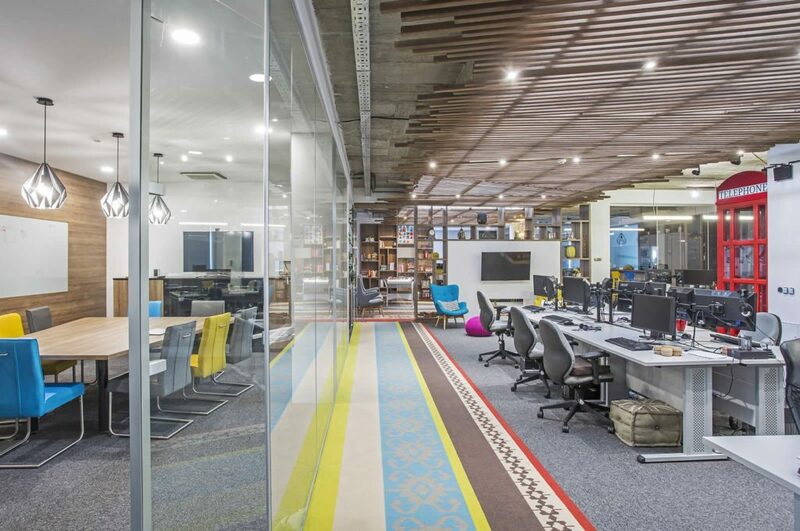 With colourful offices (such as that in Sarajevo (pictured above), which was designed by acclaimed architect Scott Brownrigg), the Symphony team are surrounded by inspiration! Founded in Belgium back in 1979, Ecover has spearheaded an environmentally friendly cleaning product revolution. Its products are derived from plants, and do away with harsh chemicals. Ecover’s Basingstoke office stands at an impressive 2,000 square feet and provides a comfortable, stylish work environment that is as clean and clinical as the company’s products! Last, but not least, we have search engine giant Google. Its Clarksville location (pictured above) features some typically quirky and engaging creative elements to make the working day feel more fun. Web developers are provided with multiple massive screens to keep on top of everything in this bustling work environment, but that doesn’t stop them from having quieter moments; staff are able to take themselves to a quieter spot and work alone…on an Apple Mac. It’s good to see Google embracing other big businesses! This post was written by Alastair Brown, CTO of BrightHR and edited by Grace Dillon, Content Writer at TalentPool.